In a complex and fast-changing marketplace it can be tough to keep up. That’s why at Sun Tribe, our focus on partnerships extends into education. Our team of industry-leading experts are dedicated to working with you at every step along the way to understand solar technology, financing, regulations, and engineering. 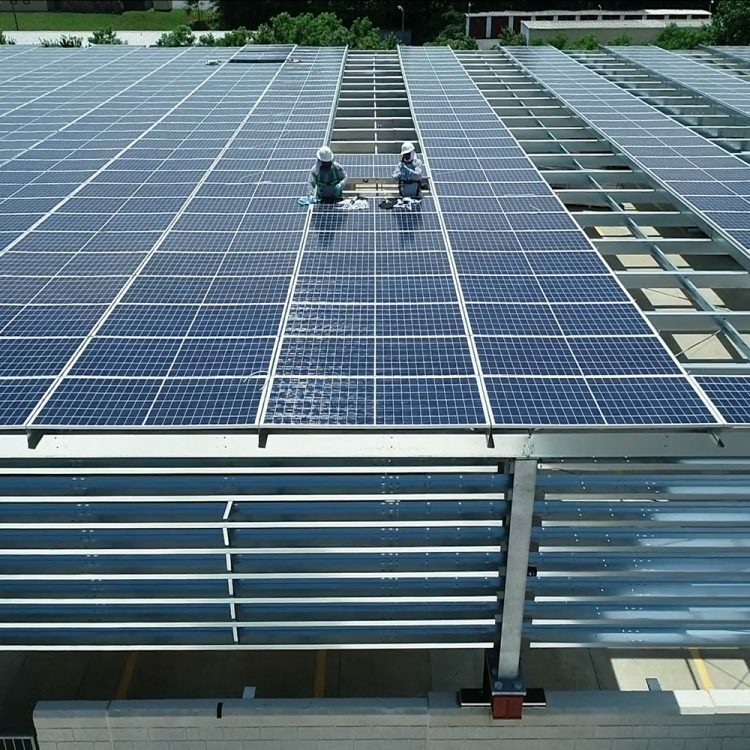 Here’s the good news: with solar, what’s good for our future is also good for your bottom line today – it’s a sustainable, affordable, dependable way to power your business, school, factory, or data center. Want to know more? Click below to get started. Program that helps Virginia schools and non-profits save money through solar with no up-front cost. We own and maintain the system, you see the savings. Whether you’re buying your system up front (and keeping the accompanying tax incentives) or exploring other programs, solar has never been a smarter long-term investment. bringing solar into the classroom to inspire the next generation. We build big, complicated projects that power industries but have had zero lost time work injuries. How? Learn about our industry-leading safety program. Ensures you don’t need a battery on-site – any excess electricity your system creates gets sent back to your local utility to “store” as a credit on a future bill. Our development team will work with you to educate your team about solar, evaluate your site, and address critical potential roadblocks like permitting and community engagement. Sun Tribe is built on top-notch engineers with real-world experience from every corner of the globe. Our engineers work closely with you to design a system that exceeds your expectations and maximizes your savings. With solar technology changing rapidly, Sun Tribe maintains best-in-class relationships with the manufacturers and designers of leading-edge equipment. Our procurement process ensures that you get the best quality system components on the market. We’re not afraid to say it: we have the best construction team in the business, dedicated to bringing in projects on time, under budget, and 100 percent safe. Because your project is only as good as the team building it. At Sun Tribe, we design every system to meet our partner’s specific needs. Combine that with significant tax incentives, and the answer is: every system will vary in cost, but investing in solar comes with very real short- and long-term financial benefits. To help determine cost – and potential savings – our process starts with an analysis of your current and historical electrical usage, along with a thorough site evaluation aimed at determining the right size system for you. After our engineering team designs the right system, our finance, legal, and regulatory experts will work with you to ensure you get the most out of your new investment. Most solar systems are what’s known as solid-state – with no moving parts, your system will require little maintenance and is designed to last a long time. The key working with a team of experts who can guide your equipment choices. At Sun Tribe, we’re committed to using only Tier 1 solar modules, which are the best on the market today. We back up our equipment with a full 10-year production guarantee, helping you identify and replace any faulty panels. Most solar panels also come with a 25-year manufacturer’s warranty, with most systems expected to last at least 30 years. Can I use my solar system as a back-up source when my community loses power? The longer answer: there are essentially two types of solar systems. Most systems are connected directly to the electrical grid and don’t have a battery. For both safety and legal reasons, these systems are designed to shut down as soon as a power outage is detected – ensuring that power from your array isn’t feeding into wires that workers are trying to repair. Your system will make this adjustment instantly, with no action needed from you. The other option is a battery-backed solar system, which can provide back up power, but often requires a larger up-front investment to design and maintain. Will a solar installation damage my roof? Most of the systems we design and install are ballasted – safely held in place without penetrating your roof. But at Sun Tribe, we take roofing decisions seriously, which is why we collaborate with your roof manufacturer to ensure that our solar system installation doesn’t void your existing roof warranty and our in-house construction teams work carefully during installation.